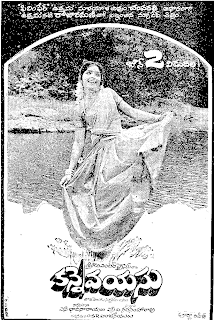 Trivia: This was debut movie for the director KV Reddy. Ever since Nagaiah composed and rendered the song 'sarvamangala naamaa seethaaraamaa..', not a day passes without rendition of it in most temples dedicated to Lord Rama in Andhra Pradesh. 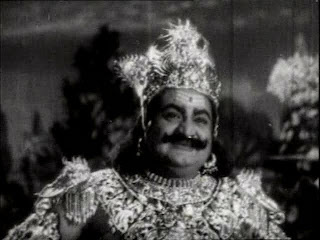 Initially Daita Gopalam, actor, singer and musician of repute was considered for the role of Potana, but KV Reddy insisted on Nagaiah. 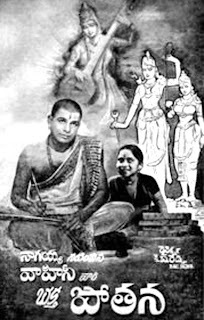 Nagaiah was the first to employ playback system when he recorded the song 'idi manchi samayamu raaraa' rendered by Bezawada Rajarathnam and it was shot on Samrajyam who played the dancer Bhogini in the king's court. This film celebrated jubilee runs all over the South including Mysore state and Kerala.